Identifying unique contributions the people and congregations of the six-county Episcopal Diocese of Los Angeles can make to ease the Southland’s current crisis of housing affordability and availability was a central theme for the diocesan Housing Justice Task Force’s Jan. 15 meeting convened by Bishop John H. Taylor. 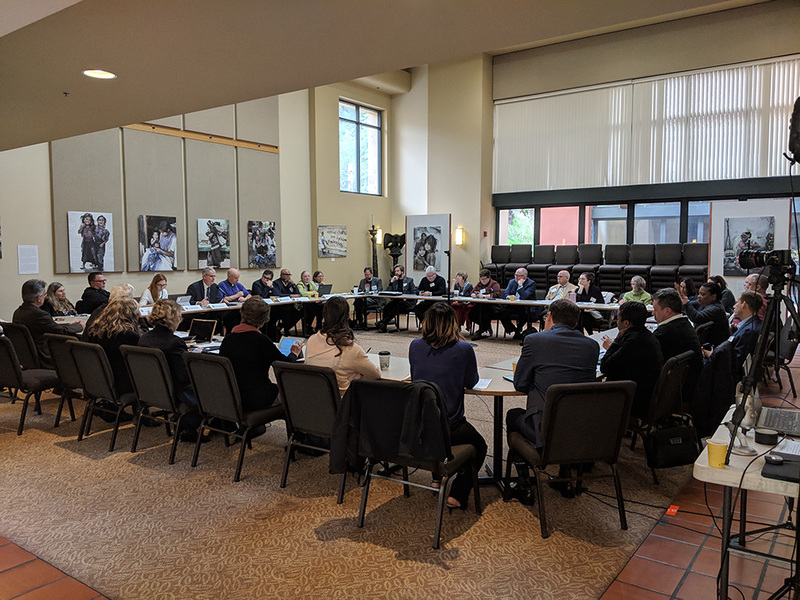 Finding those efforts “unique to our particular collectivity and gifting” is the work ahead of the task force and wider diocesan community, Taylor said in opening remarks to 40 attendees of the task force’s 70 members. 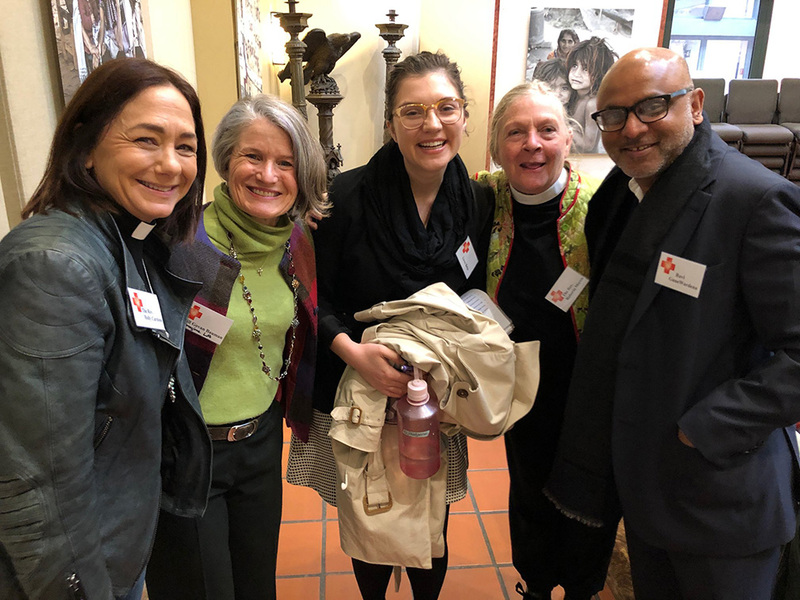 This exploration process is now supported, Taylor said, by the task force’s working groups on social enterprise, political advocacy, and incarnational ministry in parish life, each of which will convene prior to the task force’s next plenary meeting, set for Tuesday, April 9, 10 a.m. to 12 noon, at the Cathedral Center in Echo Park. A fourth working group will convene on logistical aspects of building projects. Among such proposed new construction is a development slated for St. Michael’s Episcopal Ministry Center in Riverside, a project the task force previewed in a presentation by architects Frank Escher and Ravi GuneWardena, together with plenary keynoters Larry Haynes of Santa Ana-based Mercy House and the Rev. Roberta Morris, an L.A.-based housing advocate. 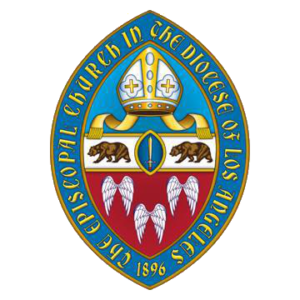 Additional consultation continues regarding potential building projects envisioned for Episcopal Church sites in Placentia, Buena Park, Goleta, and various districts of Los Angeles, among others. Livestreamed via the diocesan Facebook page, full video of the Jan. 15 meeting – the third plenary in an ongoing series – may be viewed on demand, widening awareness and engagement around the diocese, Taylor said. Justice-related quotations of Martin Luther King Jr. (who would have turned 90 on Jan. 15) and T. S. Eliot, read during the morning’s invocation by the Rev. Jane Gould, rector of St. Luke’s, Long Beach, added context to the bishop’s remarks about realities of socioeconomic polarization. 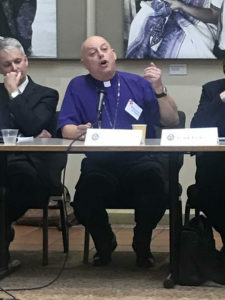 Among other examples, the bishop pointed to housing density, a topic raised during Diocesan Convention’s recent Housing Justice Panel. 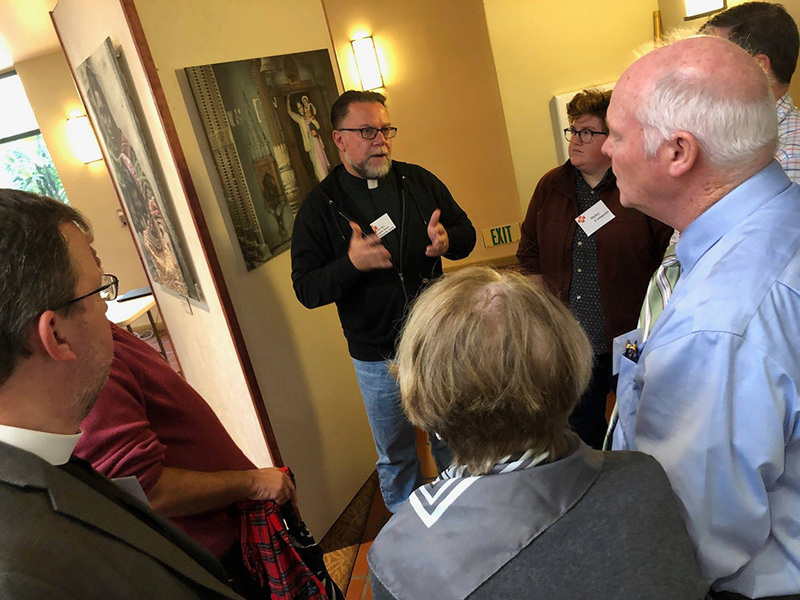 “If some of us live in single family homes on relatively small lots, and we find out that our neighbor wants to tear her house down and build six units of housing that would be more affordable, that nurses and firefighters and teachers could afford to live in, how would we feel about that, if all of these interlocking municipalities and county agencies… are hearing those who are already vested in their communities when decisions need to be made about how many units you’re going to build on a piece of property? Morning keynoter Larry Haynes, executive director of Mercy House – provider of “housing and comprehensive supportive services for a variety of homeless populations which includes families, adult men and women, mothers and their children, persons living with HIV/AIDS, individuals overcoming substance addictions, and some who are physically and mentally disabled” – emphasized the importance of realistic alignment of data and strategy. She cited the example of a group of unhoused Angelenos on the corner of Bimini and 3rd Street, on property owned and adjacent to L.A. Eco-village, who needed “some restroom facilities and some platform for their tents and security, so the tenants there are trying to provide these basics for their unhoused neighbors. That’s for eight of the 100,000. The neighbors are working on it. “The scandal is not simply that we have so many unhoused,” Morris said, “but that, at the same time, we have a 3.8 percent vacancy rate overall in L.A. County, and in the last few years in downtown L.A., ground zero of the homeless crisis, the vacancy rate rose above 10 percent. We have housing, but a crisis of affordability. First among next steps, Morris said, is to help “activate parishes to maximize resources already available. Encourage each parish and/or a family to sponsor at-risk or unhoused families and individuals, using local resources or renting vacant units in their neighborhoods for transitional housing. The parish can coordinate support services, encouraging community involvement, prevention and early interventions.